In February 1977 a young priest left Italy for Malawi, Africa for an adventure that continues till today. His father, full of emotions, woke up early that morning, and did not want to greet his son as he did not know when he would see him again. The young Mario was leaving for Malawi, an unknown land, with the apostolic mandate of “converting the sinners”. Stay with the poor. Serve the poor. The romantic dream, cultivated since he was a child, was going to be realized. Africa opened to him when he arrived with a ramshackle airplane, in a desert airport, where a young African who he did not know offered himself to bring him to the “Fathers”. The fathers though of another congregation welcomed him well. The young missionary was starting a beautiful life journey, of sharing, human and spiritual growth together with his new community. 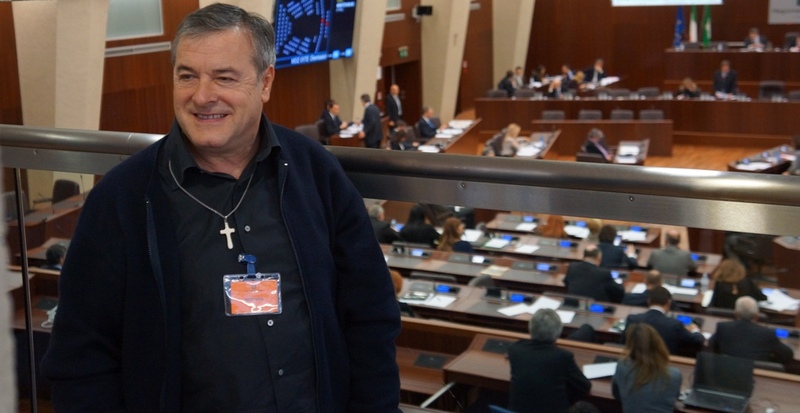 On 4 February 2014 the same missionary found himself at the Lombardia Regional Council, (Milan, Italy). In the agenda was the vote approval for the allocation of sanitary machineries dismissed by the old Hospital of Bergamo (Ospedali Riuniti). The advisor Mario Barboni presented a motion signed by all advisors from Bergamo. It was yet another attempt of give again hope to the project of sending instruments to Malawi. 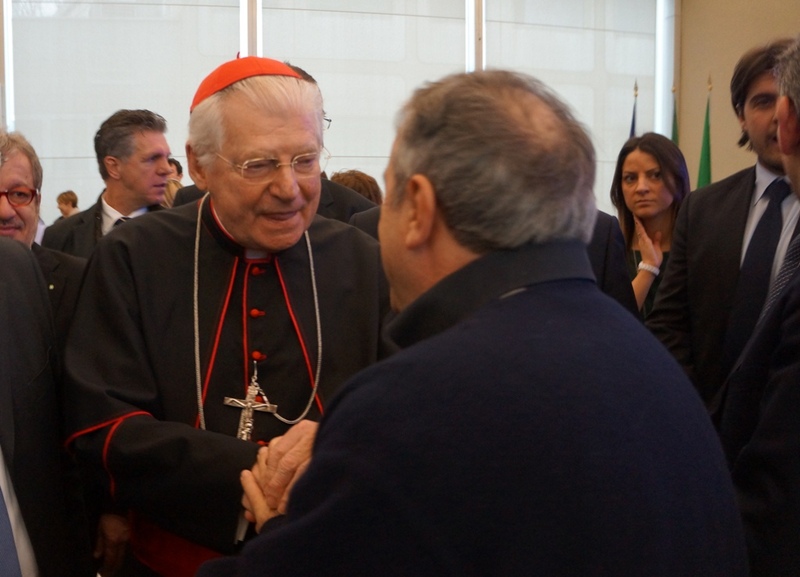 It was indeed a special day, the Archbishop of Milan, Cardinal Scola visited the Regional Council and father Mario Pacifici had the chance to meet the Cardinal and the Regional President and recommended them the project for which he was there, so far away from his African environment. At 13:15 in the council the motion was presented and us, two, were the only people really attentive at the discussion. A brief debate and the motion was finally unanimously approved. We started to clap hands like we were kids, despite our baldheads and white hair that witness our advanced age. One of us was Father Mario who shouted: “GRAZIE!” (Thank you!). Another step toward what we wish to be our shield. Another step, thanks to many that their commitment wanted to win in this attempt. In the council our striker was Mario Barboni: to him our heartfelt thanks! This entry was posted in Health Care, News from Italy, News from Malawi, Social Development and tagged Comfort Community Hospital Balaka, Father Mario Pacifici, Ospedali Riuniti di Bergamo. Bookmark the permalink.